No Limit Texas Hold’em Sit and Go tournaments (also known simply as SNG poker tournaments ) are exciting, easy to find online and potential very profitable. 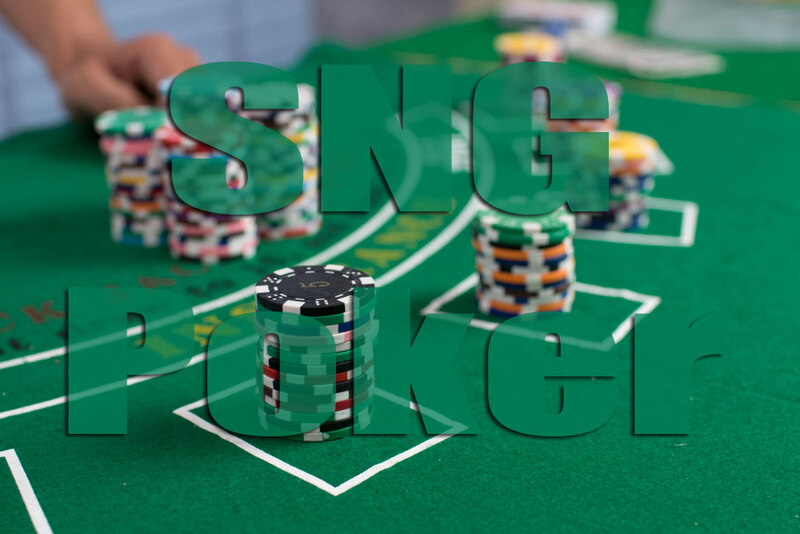 Beating SNG tournaments is not as hard as you might think and players with a robust SNG poker strategy are more likely to win big over the long term. So, after explaining why SNG tournaments have become so popular we provide some of our favourite online poker tips to help you develop that winning SNG poker strategy. SNG poker tournaments tend to be exciting and the later stages are action packed. With buy-ins ranging from as low as £1 or less, up to £100+ there are tournaments suitable for every bankroll. This means that SNG tournaments are attractive not only to the pros, grinders and recreational players, but to beginners and fish as well. Play tightly in the early stages. 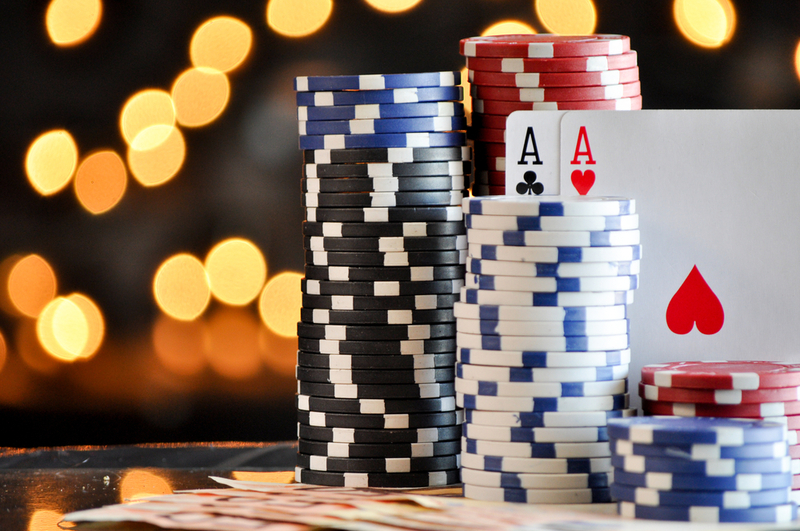 Playing only your best hands is a sound SNG poker strategy in the early stages. The blinds are still relatively small compared to the number of chips you have, so you can afford to relax for a little while. Beating SNG tournaments involves learning about the other players at your table. Work out who are the weak players and who are the tight ones. This information will be very valuable later on. Plan to steal blinds from tight players and play your best hands against the aggressive ones. In the beginning, play pairs of aces, king and queens aggressively and AKs and AKo, on occasions. If the flop lands in your favour, and there are a couple of limpers ahead of you, consider a substantial bet to hopefully win the pot there and then. Don’t despair if you are short stacked! The all-in-shove can be a devastatingly effective move if you have a strong hand and a little luck. Never miss the opportunity to double up if you are short stacked. When you have reasonably good hands adopt a SNG poker strategy of frequently raising your short stacked opponent’s blinds or even going ‘all in’ against them. The middle stages of SNG poker tournaments (roughly when you are down to the last 3 or 4 opponents) is the time to ratchet up your level of aggression. Use the fact that your opponents won’t want leave the game at this point in the tournament to your advantage. Beating SNG tournaments at this stage involves aggressive play, relentless blind stealing and going all in with your premium hands even when you are not short stacked. Beating SNG tournaments is not simply about coasting into 3rd place and relaxing! In standard SNG poker tournaments the last 3 players remaining are in the money. However, the payout for first place could be 2 – 3 times the prize for 3rd place. In some games, the difference between the amounts paid out for 1st place could be substantially higher than 3rd place. So, don’t settle for 3rd place. Stick to your robust SNG poker strategy and play to win! Beware of the big blinds. Learn how to play Heads Up. Most players rarely get to play heads up at the end of a SNG poker tournaments and can be unsure of optimal play. Beating SNG tournaments at heads up requires a robust SNG poker strategy ruthless determination, and perhaps, just a small amount of luck. These SNG poker tips are a great guide to playing better poker and bring you closer to your goal of beating SNG tournaments. Our SNG poker tips will not only help you play poker on the internet, they will help you win in casinos, and home games, too.